You are here: Home » Blog » Congrats to our newlyweds! 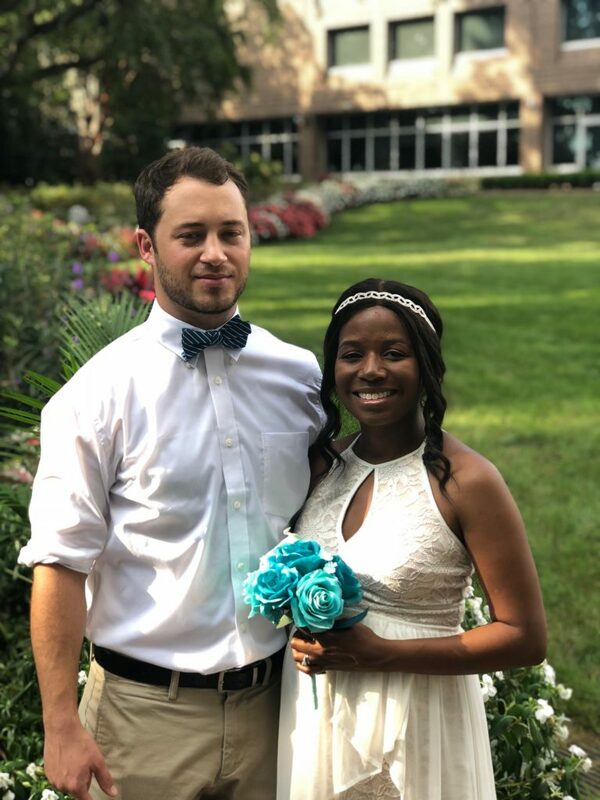 September 27, 2018Blog, Headlines, News & UpdatesComments Off on Congrats to our newlyweds! Two beloved members of Douglass Academy’s family shared a moment of happiness in the wake of devastation left behind by Florence. Our own Mr. Dave LaFave and Miss Brittany Adams held an impromptu wedding in Raleigh this past weekend at WRAL’s Azalea Gardens. WRAL news covered the event, and you can see their featured story by clicking here. Congratulations to Dave and Brittany LaFave on behalf of Douglass Academy and everyone at the Roger Bacon Academy family of charter schools!